Never thought THIS would see the light of day! Even if they don't "fix" the audio issues -- and there are plenty! -- this has GOT to be the best it's ever going to look on home video. Plus, here's hoping they went beyond "bare bones" and have included some cool, rare bonus features...but I'm not holding my breath. Stay tuned! (Amazon states a release date of November 27th, so ...what a nice holiday gift! "We Need a Little Christmas NOW"!! WOW! Stupendous news! Since it's Warner Archive, I'm not holding out for bonus features, but I am very happy nonetheless. I put in a pre-order at Amazon and a few days later got a message "this product is no longer available" (?!). I wouldn't worry too much about that. It might just mean the release date has been postponed. My Blu-Ray just arrived! 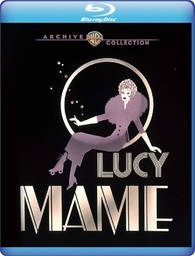 The only extras are the trailer and the (this time correctly titled) "Lucy Mame" featurette. I took a brief look at the film itself and it looks great. I'm debating whether or not to watch the whole movie tonight. I usually watch Mame during Christmas week, but I might need a little Christmas now. I ended up watching the whole movie and it looks terrific! Glad to hear it looks so good! This is on my Christmas list -- along with a new Blu player to replace the one that died in the middle of ILL S2. This finally arrived today and the quality has blown me away! I still, however, think Gene Saks directed this picture while on acid. That's my biggest issue with the film. It looks beautiful and it's got a solid cast, but the pacing and direction could've been tighter. 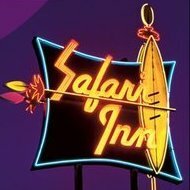 The direction just seems clumsy and amateurish to me -- inexplicably so considering Saks' otherwise impeccable body of work as a director. One could put some of the blame on Onna White, but some of the blocking during a couple of numbers is just terrible, from the "It's a time for!" line up at the top of the stairs where Lucy's arms block out the face of a couple of chorus girls, while at one moment in "We Need a Little Christmas" Miss Ball has to zig zag around an awkwardly placed coffee table to take a step.